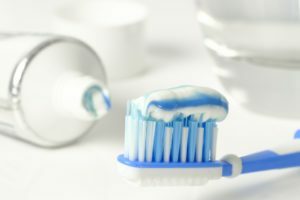 Recycle your toothbrush for charity in Fleet! Hart Voluntary Action is one of three charities who will benefit from your recycling efforts. Please drop off your old toothbrushes, toothpaste tubes, toothbrush and toothpaste packaging, and electric/battery toothbrush heads in the correct recycling “portal” which can now be found in Hart Shopping Centre in Fleet. Look out for the Find Your Fleet board next to the Card Factory for details about community activities and events and other recycling options. This new initiative is being brought to Fleet by the Fleet BID in association with Terracycle who specialise in recycling products, which can not go into your waste recycling bin. Terracyle offer the option for charities and schools to earn donations in exchange for collecting products, such as crisp packets, and bread/pet food packaging. So when you next come in to do your shopping, why not drop off your recycling too! Donations earned will go towards running our Volunteer Centre on the 1st Floor of Hart Shopping Centre.